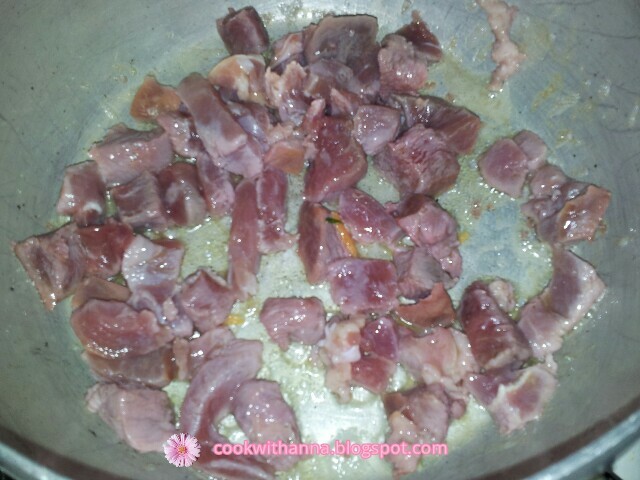 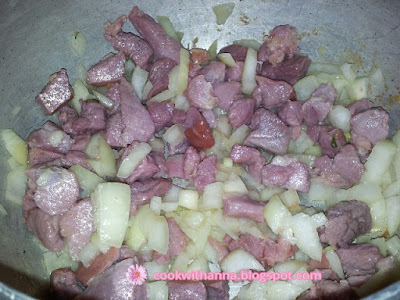 Start by frying the gammon in a bit of oil for about 2-3 minutes. Then cut the onion, grate the carrot and put them in the pan with the gammon. 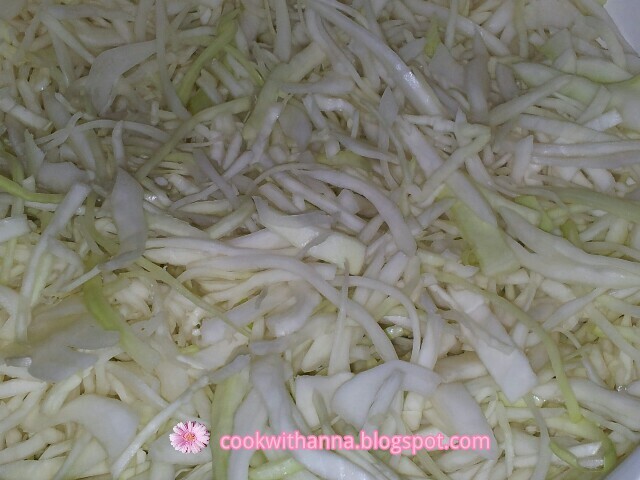 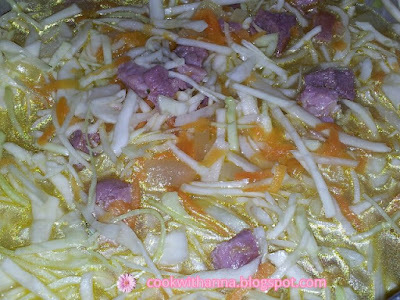 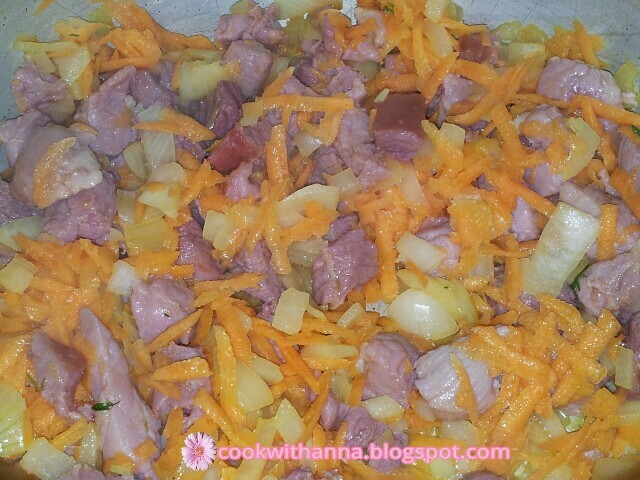 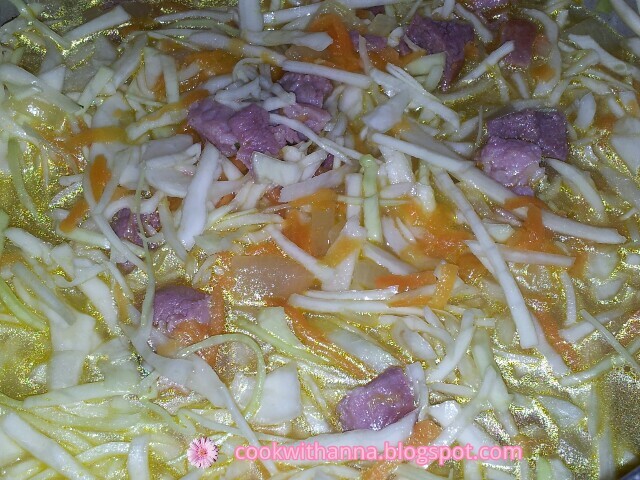 Put the cabbage in the pan with the gammon and add water to cover everything. 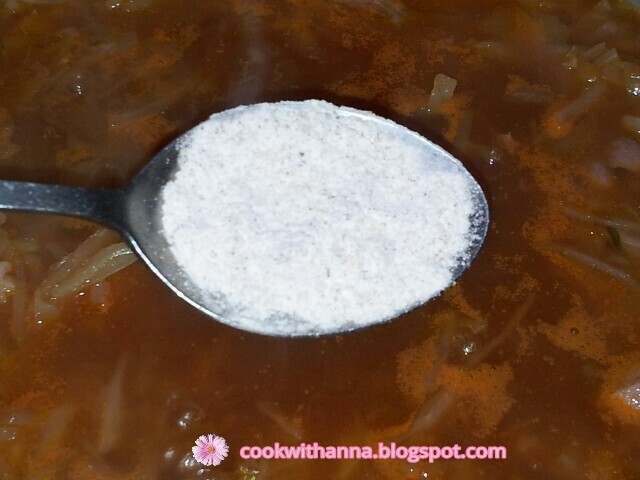 Add a pinch of salt and pepper, cover the pan with a lid and let it simmer. 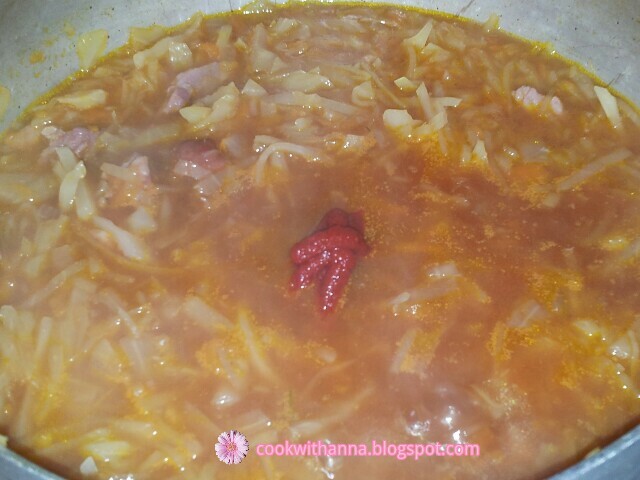 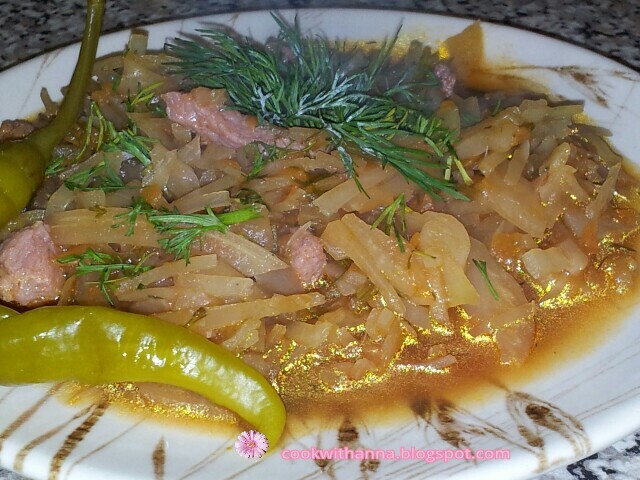 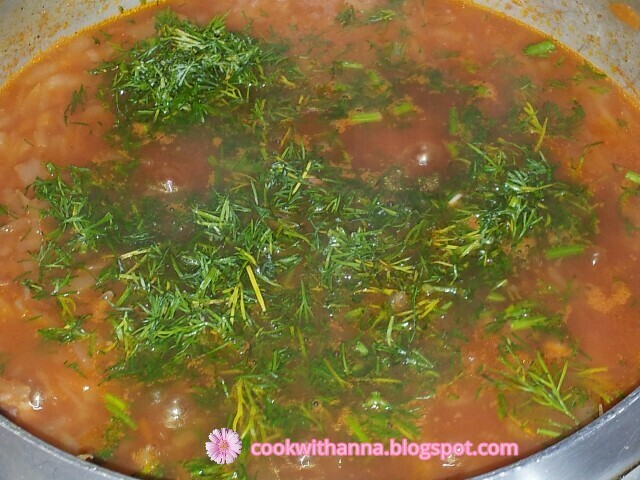 When the cabbage is boiled add the beef stock cube, the tomato paste and the borsch or lemon juice and let it simmer for anther 10-15 minutes. 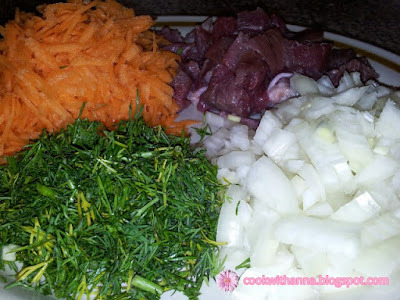 At the end add the chopped dill. You can serve with polenta and chilly.